Save as App, now allows to save the app in your Chrome desktop browser in or in your Android mobile Chrome browser (iOS and Mac OS support coming soon). Chat, the chat window now opens directly, and it displays a new better layout for easier reading. Tag a Folder, you can now mark a folder with a People tag, making the folder a container of all things you keep for that person. My Account, you can now change the picture and password in your profile. IMPORTANT: You must update your Chrome browser to version 64 to take advantage of the new features coming with Actibly. Greetings everyone! 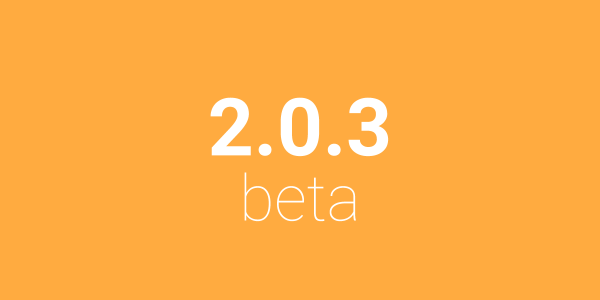 We are very happy to announce that the beta release of Activity for Apptimo 2.0 is now available and includes several major new features, as well as many useful enhancements. Explore! ​Chat and Messaging in every card. You can chat and send messages to people in your sharing groups. Real-time refreshes, see changes in your Inbox as they happen. Notifications, web and mobile notifications. Secure Connection for the web app, provides a secure layer for your information (https://). HIPPA Compliance, we are following HIPPA guidelines to provide compliance for the handling of medical and dental records. Master image and link, notes can now display an image on the Inbox card, as well an associated link (URL). Announcements, enhanced announcements bar. Now displays all announcements with an horizontal scroll. Inbox, a nicer and more elegant layout for your Inbox, making easier to navigate. A new value-added service that will allow you to send and receive text messages to any people in your workspace. You can subscribe to one or more mobile numbers to create your text message chats. Numbers can also be assigned to workgroups to allow your team members to also send and receive text messages. Really, a communications powerhouse. Fax for Apptimo users will be able to take advantage of the new features immediately, including a faster response, refreshes in the background so no need to reload to check for new faxes.